With a new season of college football gearing up to start in just a matter of days, you may feel inspired to find innovative ways to show your school spirit at home. Short of painting the exterior of your home in your favorite team colors like Tennessee Orange and White or Florida State Garnet and Gold, there are several more tasteful ways to show your love for your college of choice. Highlight Home Restoration has come up with a handful that we believe are #1! Show Your Team Spirit Sunroom – A fan as devoted as you deserves a special room for football worship! A sunroom near the deck AND the kitchen provides plenty of opportunities for quick snack and grill runs. Load your sunroom up with comfy sofas, a big screen TV on the wall and pretend it’s your very own skybox every Saturday during football season. Add splashes of school color through your accessories – such as throw pillows, rugs and bric-a-brac. Incorporate a pool table or foosball table, and this room can convert easily into a game room for the rest of the family to enjoy the remainder of the year. Tailgate Terrace – Overlooking your very own “field of play”, you could have a deck to die for. Envision a vaulted ceiling with outdoor fan cooling you down when the game really gets heated, plus an outdoor fireplace with a big screen TV hung overhead for enjoying night games and s’mores on those cool Fall evenings. A built-in grill allows you to combine your football watching and tailgating all in one. Hang school pennants from the rafters, and keep an open galvanized tub fully stocked with your favorite icy beverages nearby. Spend halftime partaking in a friendly game of flag football in the yard. Head Coach Home Office – For the other 6 days of the week, you can still show your school spirit as you look forward to next Saturday’s game. Integrate chair railing and crown molding along all four walls, then paint the base and trim to match your team colors – e.g. University of Georgia fans might consider pale grey walls with black trim and red accents. Consider framing sports memorabilia stylishly in black frames, matted in school colors in order to keep your great love of college ball understated and sophisticated. Backfield Basement – Because your basement is not a centrally located room of the house, you can have a little bit more fun with your décor down here. Stores like Sports Moments & Memories and Stadium Stuff plus school bookstores and online resources offer a treasure trove of really cool sports memorabilia to line your walls, shelves… even floors. Transform your basement into THE ultimate sports bar/media room by adding a custom bar with granite countertops and cozy stools on one side of the room, and an enormous big screen TV with sound system and overstuffed leather sectional on the other. Be prepared to play host on most Saturdays, as word spreads that your basement is THE place to be on game day. No matter what way you choose to show your team spirit at home, the talented design-build team at Highlight Home Restoration can help. Whether you elect to construct an entirely new sunroom, add a custom designed deck, convert a pre-existing room into a home office or (FINALLY) finish your basement – Highlight Home Restoration can not only design the project to fit your family’s needs– we can also secure the necessary building permits and build the space for you. To schedule a meeting to discuss your profound love for your college team and the best ways to show that devotion at home, call the friendly folks at Highlight Home Restoration at 678-873-9234. We also invite you to e-mail your request for information to info@highlighthomesga.com or fill out a convenient online contact form. To learn more about Highlight Homes and Highlight Home Restoration, visit our website at www.highlighthomesga.com. Build Trust – Establish and maintain a positive track record in the marketplace. Highlight Homes and Highlight Home Restoration have been doing this for our clients all over Georgia for years – but it’s nice to be recognized for it! Advertise Honestly – Adhere to established standards of advertising and selling. Highlight Homes and Highlight Home Restoration ads have been seen in such upscale publications as Points North, Atlanta Home Improvement Magazine and Remodel Atlanta Magazine. We’re not about smoke and mirrors, just good old fashioned quality craftsmanship. Tell the Truth – Honestly represent products and services, including clear and adequate disclosures of all material terms. Highlight Homes and Highlight Home Restoration always approach every project we undertake with a straightforward approach, utilizing only the finest materials and subcontractors we can find. If anything, we are known to “under-promise and over-deliver”. Be Transparent – Openly identify the nature, location and ownership of the business, and clearly disclose all policies, guarantees, and procedures that bear on a customer’s decision to buy. We let our work speak for itself at Highlight Homes – there’s no need for the “hard sell”. Honor Promises – Abide by all written agreements and verbal representations. Highlight Homes and Highlight Home Restoration has grown quite a reputation for exceeding expectations. Where other remodeling companies or builders may draw projects out weeks or months beyond the original target date, with dozens of change orders representing added expense for the client, Highlight Homes strives to complete each project ON time and ON budget. Be Responsive – Address marketplace disputes quickly, professionally, and in good faith. Fortunately, “marketplace disputes” are something we’ve never had to deal with. Armed with the desire to please each and every one of our clients, we make adjustments when necessary – long before any inkling of a dispute were to arise. Safeguard Privacy – Protect any data collected against mishandling and fraud, collect personal information only as needed, and respect the preferences of customers regarding use of their information. 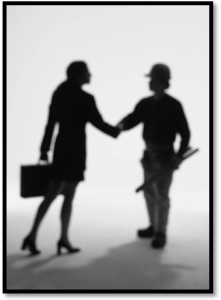 Highlight Homes and Highlight Home Restoration is honored to have met and served our clients – we will never sell or share your information with a third party. Embody Integrity – Approach all business dealings, marketplace transactions, and commitments with integrity. After more than 20 years in the construction, renovation, architecture and land development industries – Highlight Homes’ Principal Tony Pourhassan handpicks each member of his team based on vision, skill set, talent, dedication and integrity. We’d like to express our gratitude to the Better Business Bureau for honoring us with this distinction. While we are privileged to become a Better Business Bureau Accredited Business, Highlight Homes is perhaps most grateful for the accolades we receive from our clients. We invite you to read just a few of their wonderful testimonials. Highlight Homes and Highlight Home Restoration welcome you to consider us to complete your next home renovation project or design and build your new custom home. To learn more about us, please visit our website at www.highlighthomesga.com or text “highlighthomes” to 99699 for our mobile textsite. If you’d like to schedule a meeting to discuss your upcoming project, please call us at 678-873-9234, e-mail us at info@highlighthomesga.com, or fill out our helpful online contact form. We look forward to hearing from YOU soon! 1) Enhance the Beauty of Your Backyard: Envision a stunning retreat just outside of your back door – a place where you can escape with a great book and a glass of wine, and let the cares and woes of the day drift away on a breeze. Adding a water element to the exterior of your home is a great way to augment the beauty of your landscape, and could very well make your backyard the envy of the neighborhood. Picturesque landscaping also increases the curb appeal and possibly even the resale value of your home, so any opportunity you have to beautify the interior or exterior of your home – go for it! Highlight Home Restoration can help! 2) Invite Tranquility to Your Backyard: According to the ancient Chinese practice of Feng Shui, water can help create balance, harmony and prosperity in your environment. Introducing a water feature to your outdoor oasis is also a terrific way to reduce stress. Not only are they aesthetically pleasing – drawing the eye with a great focal point for daydreaming, but they also provide soothing sounds to help block out the noise of world beyond your garden gate. To create perfect balance, consider incorporating a fire pit nearby. 3) Focus on Fauna: Attention nature lovers, a water element will likely attract more birds, butterflies, and other small wildlife like frogs and turtles to your backyard. Incorporate attractive bird feeders, bird baths and butterfly bushes in different parts of your landscaping, and you could be creating your very own nature preserve paradise. 4) Find New Flora: A water garden is truly a thing of beauty, and presents the ideal opportunity to introduce entirely new species of flowers and plants to your backyard landscape. Stunning flora such as water lilies, lotus, canna, and cattails will set your outdoor oasis from the rest of your neighbors. 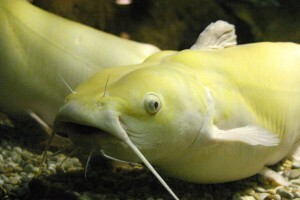 5) More Fish = Fewer Annoying Bugs: If you decide to make your water element a koi pond, consider the big benefit of the fact that koi love to eat mosquito larvae, snails and grubs. While snails and grubs can lay waste to your garden, mosquitoes can quickly take all of the fun out of your al fresco dinner party. Be careful about investing a great deal of money on your pond plants, though – koi will eat those, too! To ensure a seamless transition from ordinary to extraordinary in YOUR backyard, you may want to enlist the help of a professional landscaper. A professional contractor will know the best placement of your pond, which plants will perform well in your landscape, and whether or not fish will work for you in addition to designing and building your new outdoor oasis for you. Creating unique outdoor living spaces is only one of the many specialties the design-build team at Highlight Home Restoration has to offer Atlanta home owners. If you are considering taking your backyard to an entirely new level with the incorporation of a deck, patio, fire pit, water feature or all of the above, we invite you to contact us by calling 678-873-9234, e-mailing info@highlighthomesga.com or filling out our helpful online contact form TODAY. We look forward to meeting with you to discuss your vision further, and appreciate the opportunity to make your home a “highlight” of your life. To learn more about Highlight Homes and Highlight Home Restoration, visit our website at www.highlighthomesga.com or text “HighlightHomes” to 99699 from your mobile device. 1) One, Two, Switcheroo: If you enjoy the current layout of your kitchen, but are tired of the look of your cabinets and/or countertops – you have the option of simply re-facing your cabinetry and installing more updated counters. Re-facing your cabinets is a cost-effective way to alter the surface appearance in your kitchen, and – in its most basic form – entails the introduction of new cabinet doors in place of your old ones. This is most effective when the cabinetry can be painted or stained to match OR already complements the look of the new doors and drawers. If you love your china pattern, you might elect to use glass doors for some of your new cabinets and install special lighting to showcase it. If your counters are outdated or showing excessive wear and tear, it might be a good idea to switch these out at the same time. Granite continues to hold the lead in most desirable material for kitchen counters today, but less expensive alternatives such as solid surface “man-made” polymer materials, granite, or ceramic tile, and laminates come in a wide variety of styles and colors and can dramatically change the look of your kitchen. 2) Paint and Polish: It is possible that a fresh coat of paint over your current cabinets might do the trick, followed by the introduction of new door and drawer pulls. Consider going after your walls with a fresh new paint color that complements your new cabinets, as well, to really make your houseguests say “WOW!” According to the experts at Pantone – the global authority on color and provider of professional color standards for the design industries – you can create a mood in a room with your paint color selection. Red is daring and energetic, while blue is peaceful and refreshing. Orange is inspiring, inventive and gregarious while purple is aristocratic and enchanting. Green is clean and earnest, while brown is earthy and familiar. Grey is powerful and timeless, while yellow is uplifting and playful. Touches of black throughout the room add an air of sophistication. Don’t forget to pull it all together through your choice of linens for the table and windows, as well as a great throw rug and brand new dish towels. 3) De-Clutter and De-Stress: With all this talk of setting a mood, let’s not forget that clutter can correlate to your stress level. Clean, uncluttered countertops will not only help lower stress – but they will give the impression of a spotless kitchen. Stow your appliances away in cabinets or the pantry, and become an advocate for “less is more” with regard to knick-knacks in your kitchen. This might be a great time to invest in some organizational shelving for your cabinets and pantry to maximize your use of space. In the event that you are looking for a complete kitchen overhaul – one that will exceed your wildest dreams – Tip #5 should be to call the friendly folks at Highlight Home Restoration. We will listen carefully to your wants and needs, examine the space, and design something spectacular to fit both your vision AND your budget. Because we are well-versed in structural engineering, architecture and construction – we are your one-stop shop to taking your kitchen remodel from concept to completion. We can completely revamp the layout of your kitchen space, while adhering to the look and style of your home so it flows beautifully and seamlessly into your home’s design. 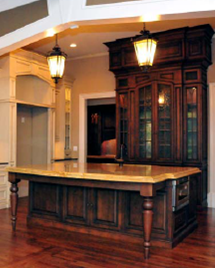 We can also help with smaller jobs, like those outlined above – from re-facing cabinets, to replacing countertops, from installing organizational shelving to helping you incorporate new lighting fixtures to your kitchen space. Needless to say, our expertise can be of use all over your home – basement finishing, bathroom remodels, sunroom additions, decks and patios, and so much more. 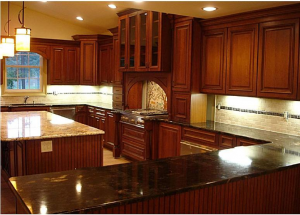 Keep in mind that a major kitchen remodel often equates to an over 70% return on investment when a house is resold. To get started on the exciting renovation of your family’s kitchen, call Highlight Home Restoration at 678-873-9234, e-mail us at info@highlighthomesga.com, or fill out our convenient online contact form. To learn more about Highlight Homes and Highlight Home Restoration, visit us on the web at www.highlighthomesga.com or from your mobile device by texting HighlightHomes to 99699. We look forward to hearing from you soon, and to making your kitchen one of the many “highlights” of your family’s life! Let’s Turn The Economy Back On! With the country still reeling from a beleaguered economy and new construction on single-family housing at one of its lowest levels since the start of this current financial crisis, this summer the inventory of houses on the market dipped down to numbers not seen in over 40 years (Reuters). What’s more is, colorful charts displaying the rollercoaster ride that new and existing home sales have taken in recent months do not indicate any clear pattern. No one can say for sure when the housing market will recover. However, one thing is clear – with inventories of homes at historically low levels, once the market DOES rebound – we could face a housing crisis. That doesn’t have to be the case, and you could be an agent for change! This is the ideal occasion to make renovations to your existing home, affording you ample time to enjoy them, and helping to increase your house value should you make the decision to sell in the near future. If you are considering buying a new home, this is also a terrific time to invest – with interest rates and house prices combining for unprecedented cost savings. Keep in mind that in the event that you purchase a foreclosure or new home that has been on the market for some time, you may require a few simple renovations to bring that home back to its former glory. Each time a person buys a new home from a builder, chances are they are freeing the builder up to build more new homes by increasing his or her capital. Ever consider building the house of your dreams from the ground up? There are a treasure trove of talented architects, builders, construction professionals, and suppliers vying for the opportunity to help you achieve your dreams. By signing on the dotted line, you are helping to employ a staff, stimulate the economy, and – in turn – grease the wheels of progress. We simply can’t wait any longer for the folks in Washington to fix the situation – we all have to do our part to help turn this economy around. Like many of our colleagues, Highlight Homes has faced our own set of challenges the last couple of years. While countless builders and supply companies have been forced to close their doors, we have weathered the storm. We feel that speaks volumes about the value and quality we provide to our loyal customer base. We welcome the opportunity to have you join our growing list of clients and can assist you with everything from basic home maintenance, to kitchen and bath remodels, to complete home renovations, to basement finishing, to decks and patios, to new home construction and more! To help turn the economy around, do your part to aid in the housing market recovery, and support a local builder – contact Highlight Homes and Highlight Home Restoration by calling 678-873-9234, e-mailing us at info@highlighthomesga.com or filling out our helpful online contact form. To learn more about us, we invite you to visit our website at www.highlighthomesga.com or text Builder or HighlightHomes to 99699 from your mobile device. We look forward to meeting you, and learning how best we can serve you and your family!